type: type is use for given the full java class name that mean class name with package. This is class a user define class where we define the exception. path: path is use for display the exception message. 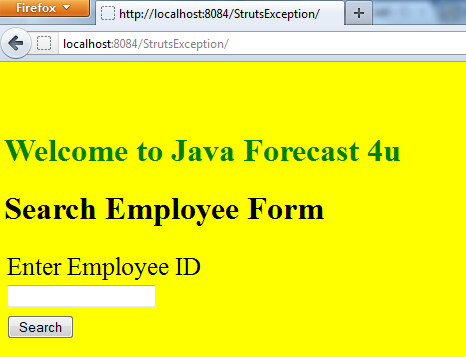 It is a jsp page where we can show the exception. key: key is use for matching the exception message in resource bundle file that is a property file. 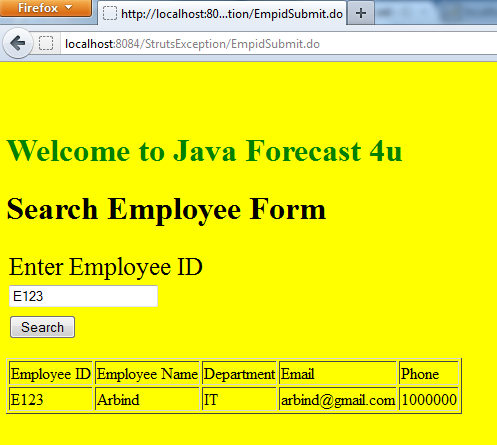 Develop a employee search form. Search employee bye their employee Id. 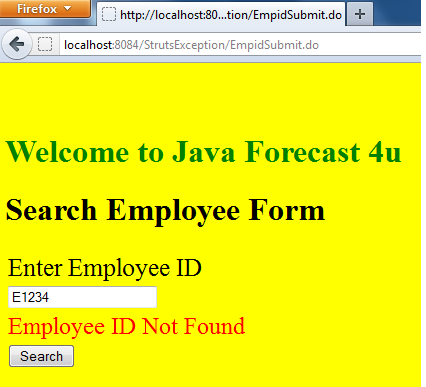 If employee Id found then show the employee details. Now we write source of all above mentioned files. I hope you will be enjoyed with this tutorial.